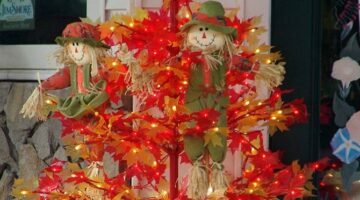 Thanksgiving trees are placed inside the home or on a porch and enjoyed between the Halloween & Thanksgiving holidays. Photos + ideas for creating your own Thanksgiving tree for the Autumn months. 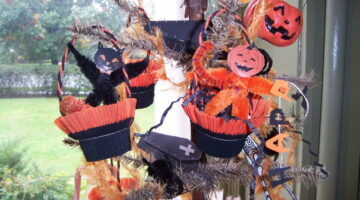 Halloween Trees – They’re More Than Just Christmas Trees With Halloween Ornaments! Photos and videos showing lots of fun ways to decorate Halloween Trees — both indoor and outdoor — using all sorts of fun shapes and Halloween decorations. I get bored with the same Christmas decorating theme year after year, so I try to have different Christmas themes every year. 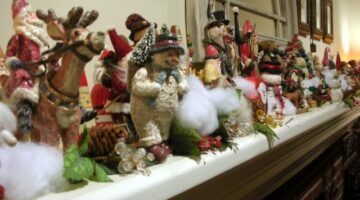 Here are some interesting ways to decorate inside your home using fun Christmas themes. Upside Down Christmas Trees… The Hottest New Thing In Holiday Decorating! The latest thing in holiday decorations is the upside down Christmas tree! It’s certainly a novelty that gets a lot of stares… Here’s why more and more families are choosing an Upside Down Christmas tree for their own home this year.